Air Serbia offers direct flights from several European cities (Paris, Lyon, etc) and very good connections via Belgrade from many other cities (Amsterdam, etc). Montenegro Airlines flies to Podgorica and Tivat (near Kotor) from several European destinations. Ryanair also offer very affordable flights from the UK and Belgium (Charleroi). TUI Fly now also offer direct flights from Amsterdam to Tivat from May to September. Austrian offers daily flights from London Heathrow via Vienna to Podgorica, from £226.59 return (in June). Easyjet offers flights from London Gatwick and Manchester to Tivat. From Croatia, there are buses along the coast from Dubrovnik – also home to the closest budget flights – and there are a couple of services from Split too; some of these will require a bus change after a short walk across the border. 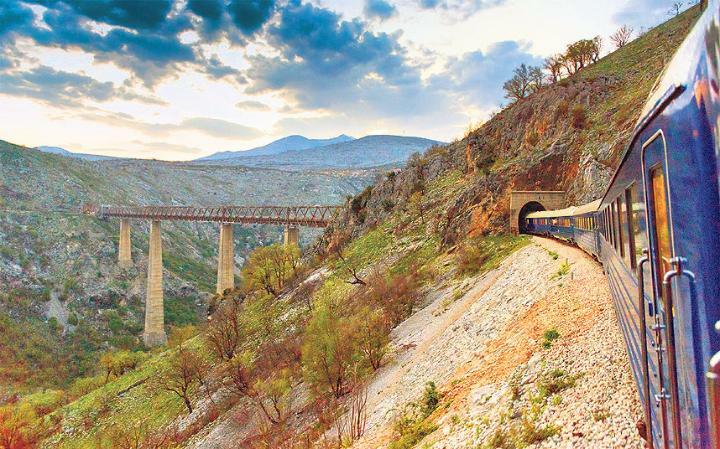 From Serbia, there are several daily buses between Belgrade and the Montenegrin coast, via Podgorica; daily trains – including a night service – also run from Belgrade to Bar along the same route. From Bosnia-Hercegovina there are direct buses to Podgorica from Trebinje and Sarajevo. Perhaps the most romantic way to arrive in Montenegro is by ferry from Italy. Between April to September, Montenegro Lines (www.montenegrolines.net) runs between two and six weekly services to Bar from Bari (from €50). We will recommend you to use Atmosfair (www.atmosfair.de) if you want to compensate the CO2 footprint of your transportation to Montenegro. Atmosfair has lots of crendentials.